Need Safe (Longer Lasting) Chew Treat Suggestions! Hello, my husband and I have gotten our first larger-sized dog. Boomer is a 4 month old blue-merle Australian Shepherd and he LOVES food and treats. Because he is teething and already seems to love to chew on everything, we are trying to find safe, cost-efficient chew treats for him. We are staying away from rawhide for obvious reasons, but found he was going through bully sticks too quickly and frankly we were beginning to worry they may pose a choking hazard as he would end up swallowing them hole after only a few minutes of chewing.. We freeze some natural plain yogurt, orangic peanut butter and other dog-safe foods in kongs for him, but even that will only last a minute or two. Our pet store has recommended us beef knuckle bones and antlers, but I'm a little wary to give these to Boomer. They are hard, and I worry he may break (another) tooth. I guess my main questions are, are these safe? Has anyone else given these to their Aussie? And also, what types of treats are you giving your pups? I would love some suggestions. Comments for Need Safe (Longer Lasting) Chew Treat Suggestions! 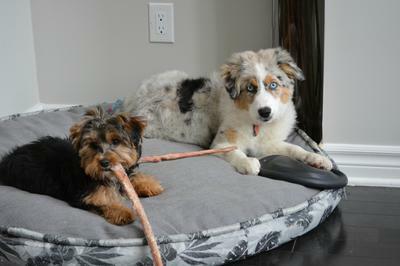 I have a Mini Aussie, she's a blue, and a full size Aussie he is a red, and I have a Sheltie/shepherd mix. I give them beef knuckle bones, pigs snout, deer bones, but never give mine pork bones it tends to mess with their digestive system. I also get busy bones, they love them they usually last 20 minutes but it's good for their teeth and gums. They also get breath busters by Pedigree it helps keep the bad breath away. Kongs frozen with peanut butter, canned food or other treats are the best. We have been giving our Aussie dried pigs ears and cow hoofs. The ears don't last too long but they occupy him for an hour or so. 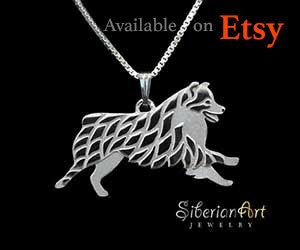 The hoofs hold up really well, he has been working on one for about 2 months now (and they only cost $1.20 each!). That being said, his favourite thing to chew is the bully stick, I do find that some kinds do last longer than others. My 2 year old, male Aussie is a BIG chewer. I cannot buy nylabones or any "plastic" chew toys as they last only a few days. I found the following to be the best toys for him so far. Join in and write your own page! It's easy to do. How? 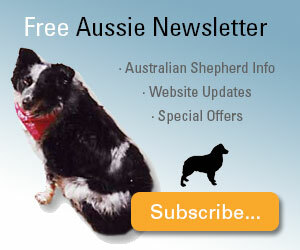 Simply click here to return to Australian Shepherd Q & A.
I want my dog to listen and come every time I call! I want my dog to stop barking at everything. 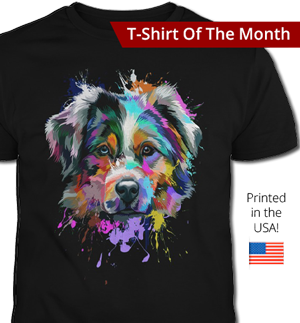 I want my dog to walk nicely and calmly on the leash. I want my dog to stop being aggressive. 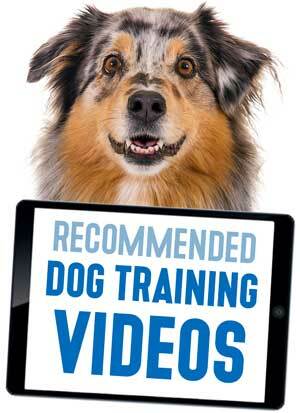 I want some help training my new puppy. 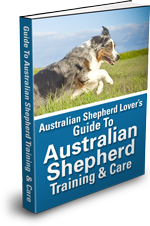 Every Aussie owner needs to know about this dangerous drug sensitivity common in Australian Shepherds. 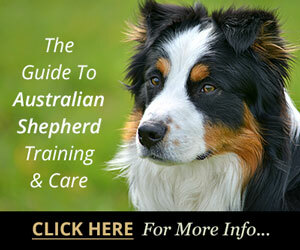 Do you know the difference between Exercise Induced Collapse and Border Collie Collapse, which can also affect Aussies? 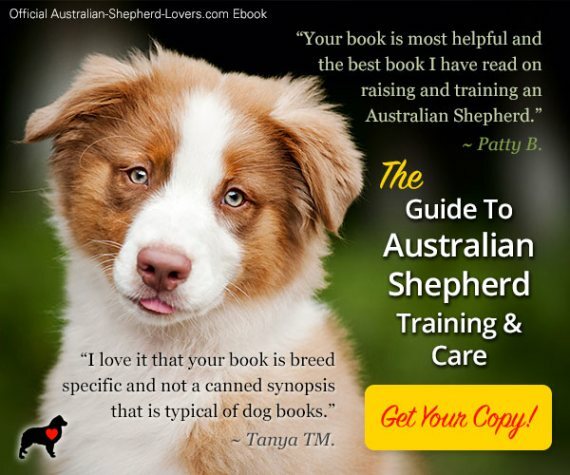 All Content Copyright © 2006-2019 by Anton Hout, Australian-Shepherd-Lovers.com.